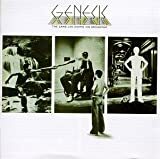 Genesis formed in 1967 in Godalming, Surrey, United Kingdom was one of the most popular progressive rock bands in the 1970s, 1980s and 1990s. During the 1970s, Peter Gabriel was the lead singer until his departure, when drummer Phil Collins stepped up to the mic and replaced him. In 1967-8, there was an American band that was also named Genesis. It was a psychedelic rock group based in Los Angeles which released one album In the Beginning in 1968. The name conflict was known to the record label of UK Genesis, which is why their debut album From Genesis to Revelation coyly omitted the band's name except in the album title. While both bands suffered poor sales for their debuts, the US band broke up in late 1968 not long after one of their members was drafted into the army. This more or less ended any significant confusion except in situations like Last.fm or lazy Googling. A Colombian group called Génesis also exists. If you are scrobbling songs by that group and have ended up on this page, please fix your tags to Génesis with the first "e" accented.